Some of those persons will be delighted to know that they will at least have alternative power, thanks to the generosity of a United States of America (USA) based disaster relief organisation, Rivers of Life Global Ministry. 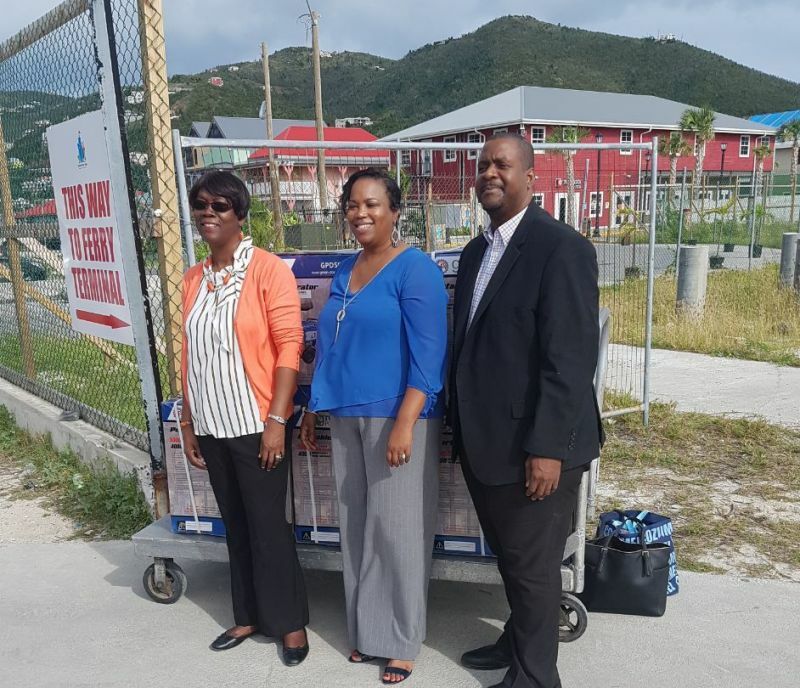 A donation of 10 generators was made to First District Representative and Opposition Leader Honourable Andrew A. Fahie by the religious organisation on Friday February 2, 2018. 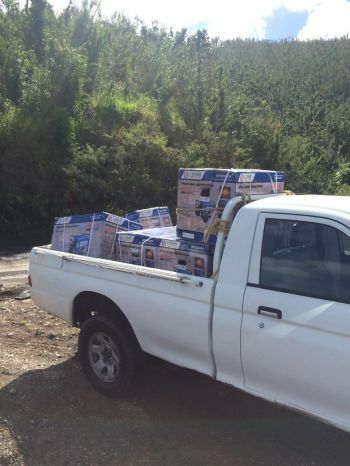 Hon Fahie said the residents of the First District are thankful to Rivers of Life Global Ministry for donating the ten generators, which will be distributed to persons in the District as well as other Districts that still do not have a generator of their own and still do not have electricity as yet. "On behalf of the residents I must thank and recognise Founder and President [of Rivers of Life Global Ministry] Dr Carolyn Clansy Miller, Vice President - Charles Miller, Secretary- Diane Reeves, Treasurer - Lorenza Breckenridge, Board member- Tonya Jordan, Administrator - Tannesia Petersen, Volunteer Alkin Paul, other donors in Texas, Florida and throughout the US. The local volunteer contacts from St Thomas are Patricia Adams, and from Tortola, Gwen Vanterpool." Meanwhile, the transportation of the generators to Tortola was provided by Inter Island Boat Services, via the Sundance Queen. "Special thank you to Boat Captain Warrington Marsham Jr. A timely contribution in the time of need as we continue to recover from hurricanes Irma and Maria. God is indeed good!" Hon Fahie stated. Rivers of Life Global Ministry, based in Houston, Texas, is a nonprofit organisation dedicated to empowering and assisting those affected by disaster and poverty. According to the organisation's Facebook page, its mission is dedicated to providing humanitarian aid and assisting in recovery through education, counseling, and the provision of goods and services. Since the hurricanes i have seen the true leadership qualities in Fahie. Nice work for the people. DUH! He in the opposition! He don't work a 9-5 so he have all the time in the World to make it look like he cares. As he gets in office he'll be a ghost! He did it many times over the years! That is the biggest lie I have ever heard and you know it but these kind of lies only comes from haters. Since you don't want to admit that Fahie is working for the people then compare each elected memembers' performance for the people immediately after Irma & Maria and you will find that none compares to what Fahie did for his people and others. I am from the 4th District and an NDP supporter but I admire Fahie for his hard work and consistency for the people especially in the time of need. No one can argue with credibility against the fact that Fahie step up to the plate during and after the Hurricanes as a true leader. The man got the job done. It is as simple as that. That's our man on a mission. The man just loves people and cares for people like a real leader should. If every district representative pushes for their district like Fahie is doing then we would have been further on in our recovery. We thank the donors for this nice gesture. I use to be a strong supporter of the NDP but I am tired of the games being played with people's lives. I am giving Fahie a try next time once he comes with good people. His heart is in the right place. You too damn lie! You a VIP supporter with a NDP screen name! You are probably in the few who don't care how much we the people suffer and how much millions dollars of our tax money your NDP goes with because you love them so much that you intend to stay blind to this and vote them in to finish kill us. Without any government funding Fahie continues to help the people and those ministers who have government funding hardly helping any of us. You are obviously a hater because that's not how Fahie works and the storm has proven that. fahie getting more attention these days than funny man. By the way if a queen becomes pregnant does she have to give up her crown? Mr Fahie if I could have moved my house from East End I would moved right in your district. I just love how you looked out for your district following the storm. You continue to show admirable qualities as a leader. May God continue to bless you as you continue to assist the people of the First district. And yes I voted NDP. Not again though! who really needs a generator after 5 months? MANY people in the West End. I live in Carrot Bay, BVIEC works hard but not in CB. On my way to town I see groups of over 15 pp working in an area not in. CB lucky if you see 5 ppl. Proud of you and the work that you've done. This is wonderful that we have people who care so much for other people. You need to go back in the box. I am not from the BVI but I live here for 18yrs & had just moved in the D1 just before the storm and Fahie treated everyone the same during those difficult times whether you were a local or not or whether you could have voted or not. I too before the storm had a negative view about Fahie & politics from what others told me but getting to know the man for myself has showed me that he is a good man that cares for people. He's truly a leader without the fanfare. Many thanks to Rivers of Life Global Ministry for their kind and much needed gift. I Do. I am just not a favoured neighbor of Sir Fahie . Hon Fahie don't be like the government and trade & investment who took ownership of the generators that were donated by Bank of East Asia for small business, and asking them to return them when power is restored.